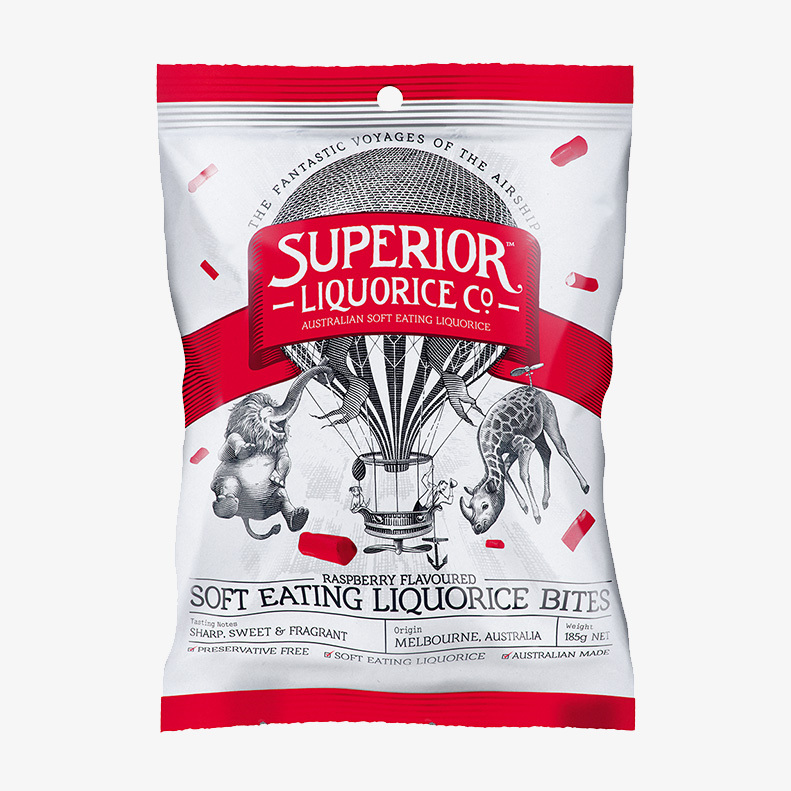 In a land far away flies the airship Superior Liquorice Co, manned by Captain Arthur and his trusty companion, Pip. 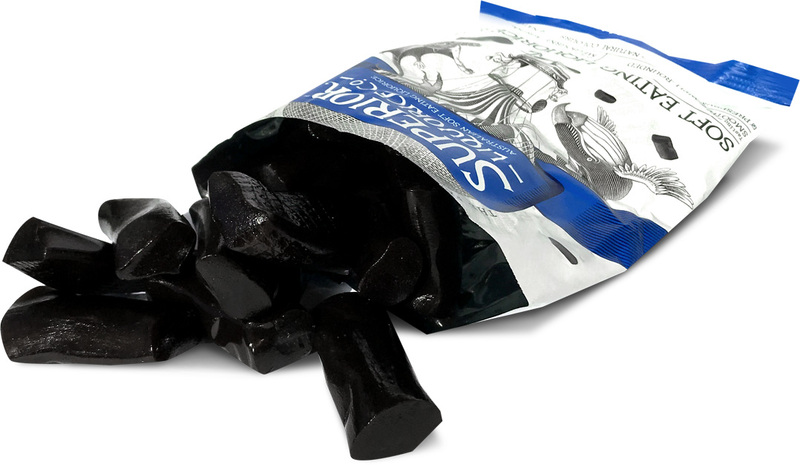 Join them as they whirl through this fantastical world discovering tasty liquorice treats and creatures beyond imagination. 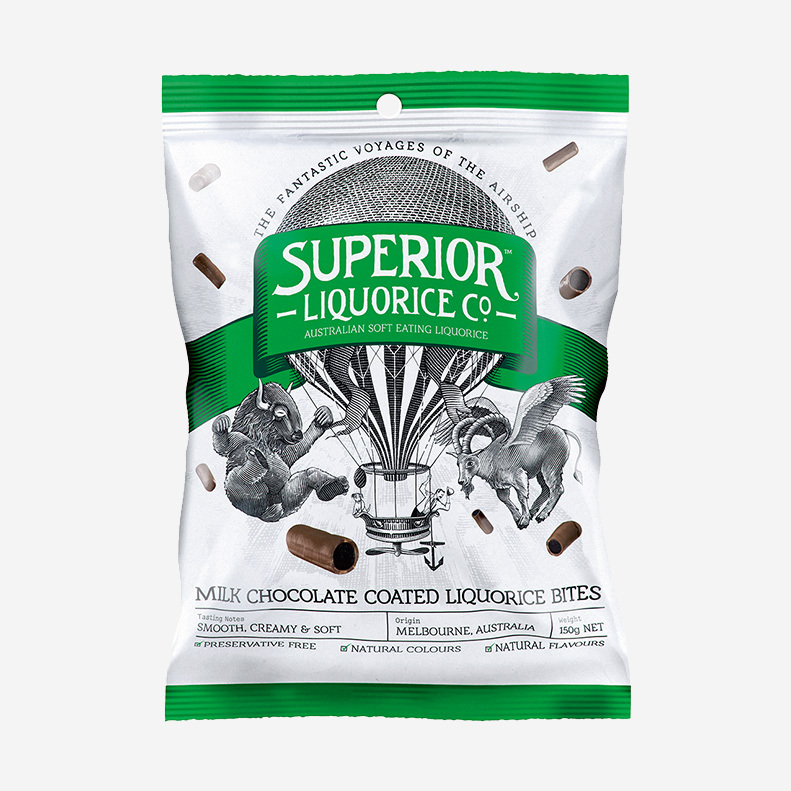 Irresistible chocolate goodness coats the bouncy textured liquorice inside to lure your taste buds into a world of adventure. 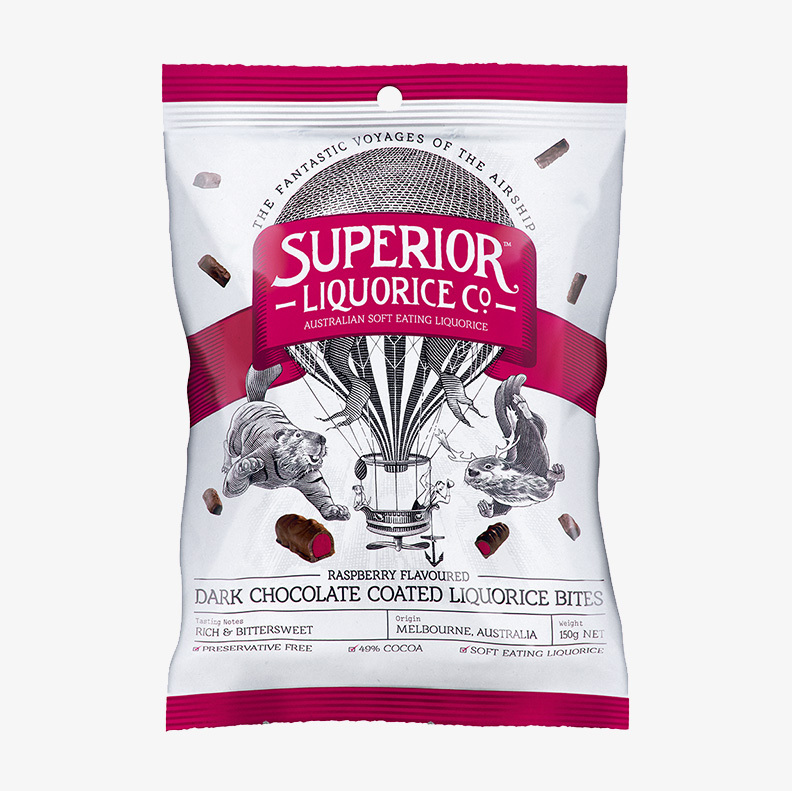 It begins with the delectable bitterness of dark chocolate and ends with a burst of raspberry sweetness to keep you coming back for more. 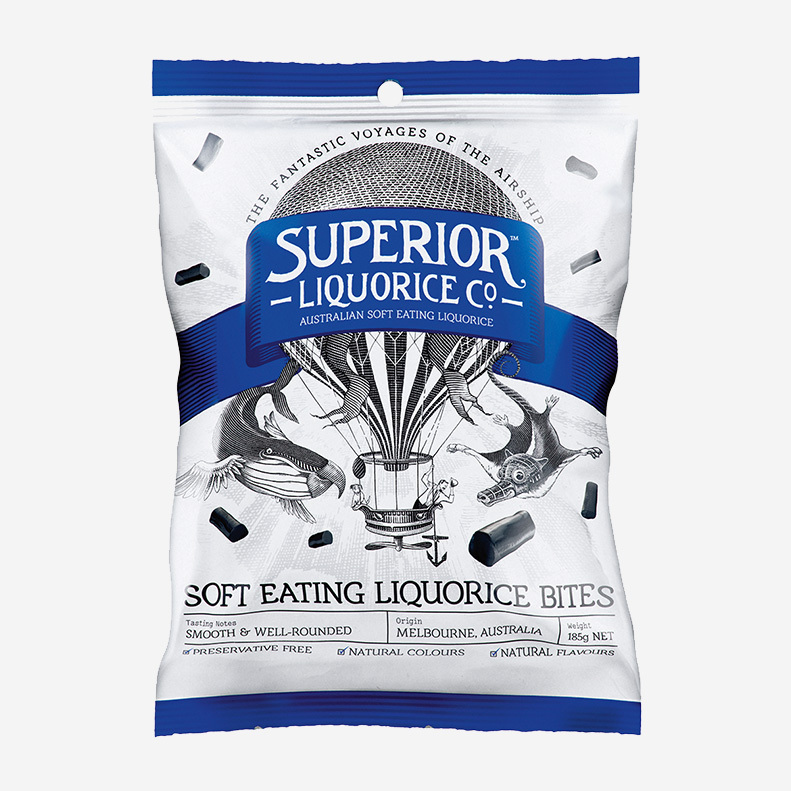 From the first bite, the flavour will kick in with gusto. Then, be delighted amused as the light springy texture appeals to your softer side. 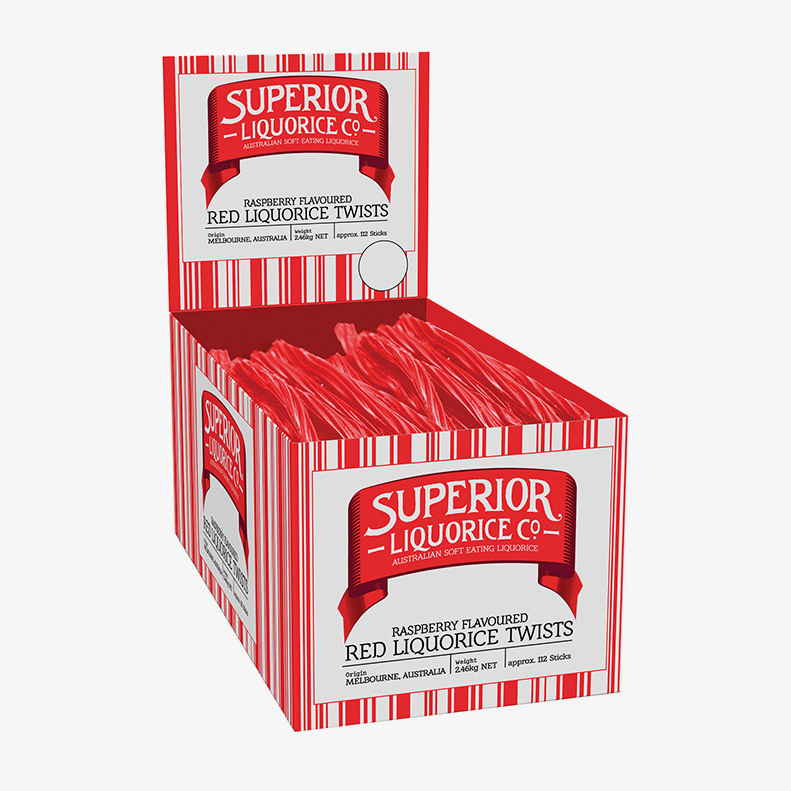 Taste the sweet tang of raspberry adventure with each delectable bite. 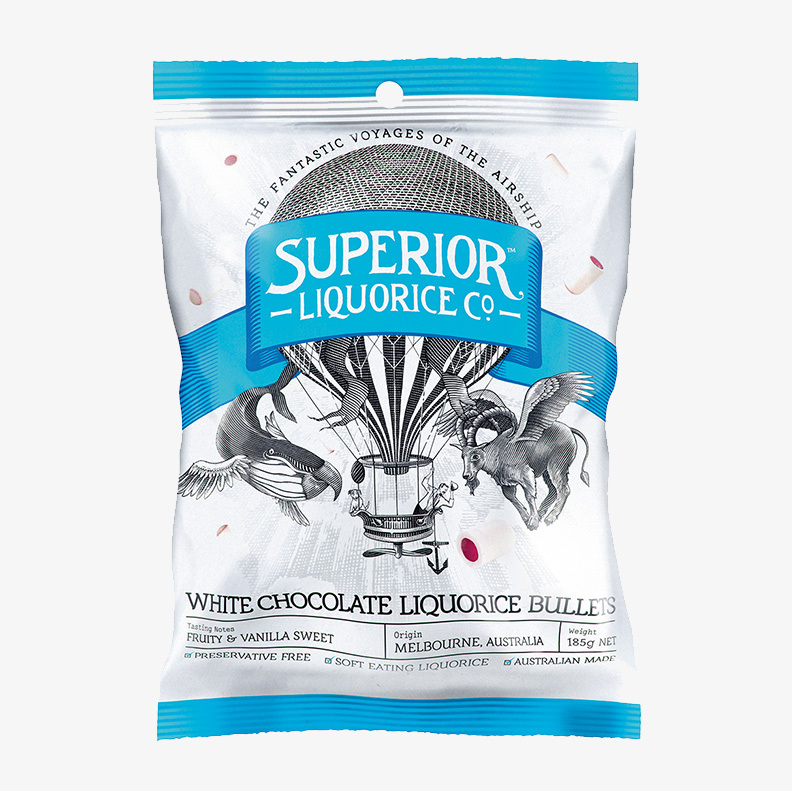 Be enchanted with each bite as you experience luscious flavours of white chocolate melting onto your palate. Then let the fruity notes of raspberry whisk you away into a heavenly dream. 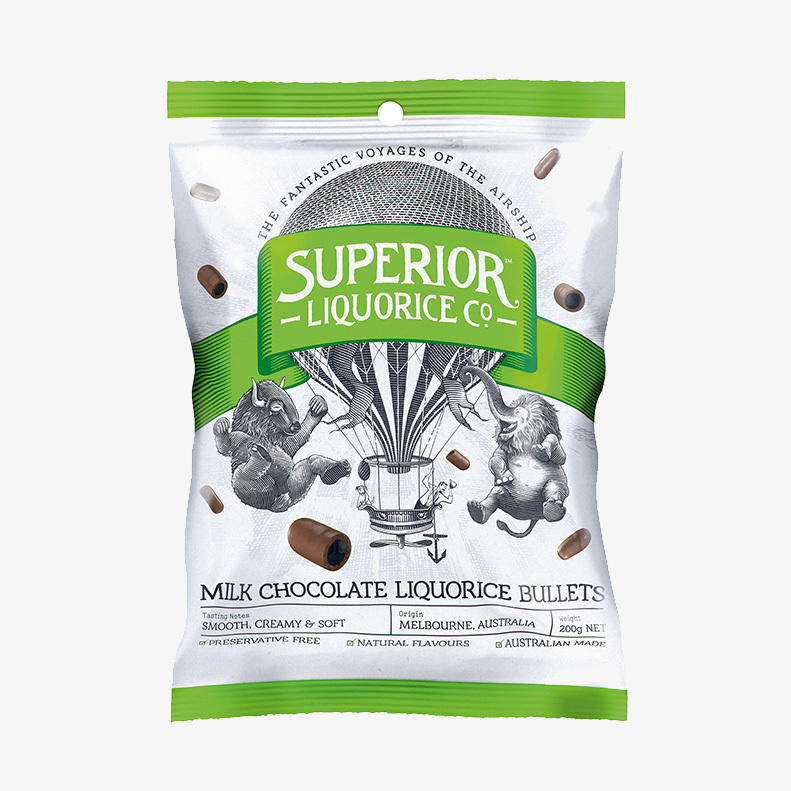 Let the fusion of milk chocolate and liquorice send your taste buds into a world of delight. 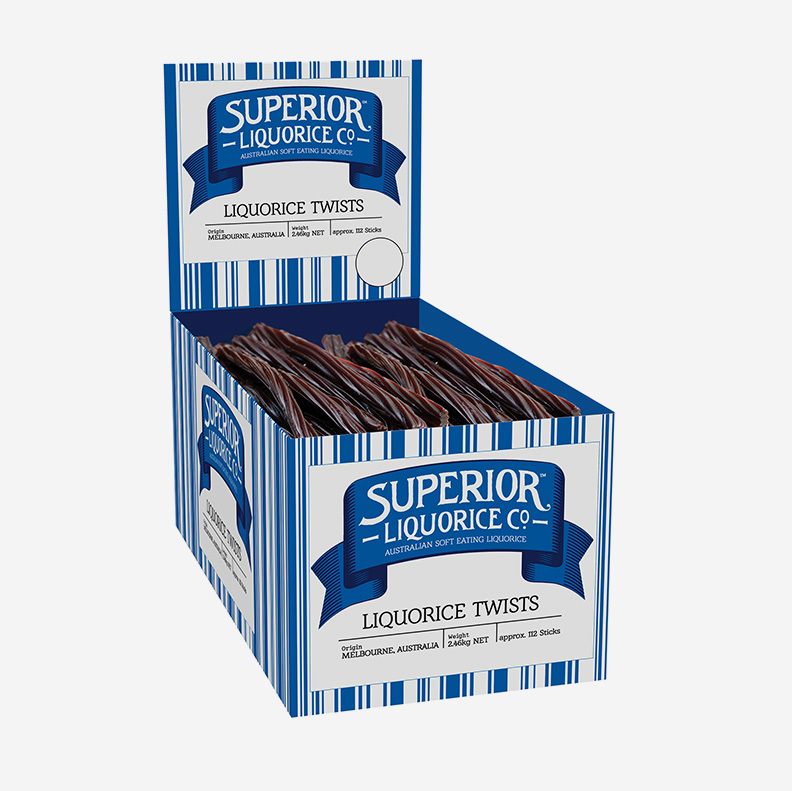 Exclusive seasonal product. 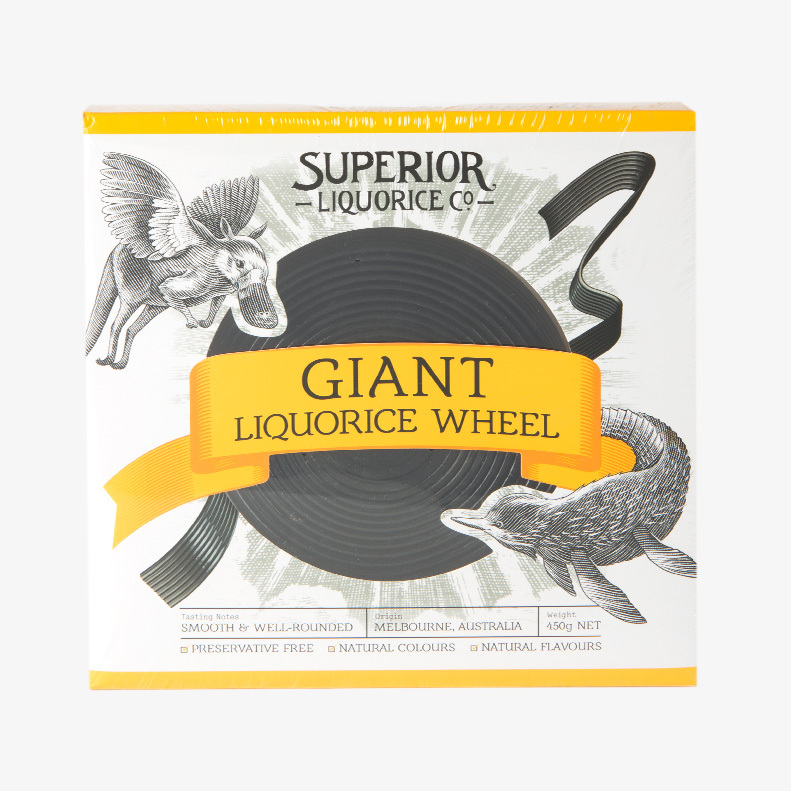 Giant soft eating liquorice wheel.